Issued Aug. 8, 2006, to Aruze Co., Ltd. 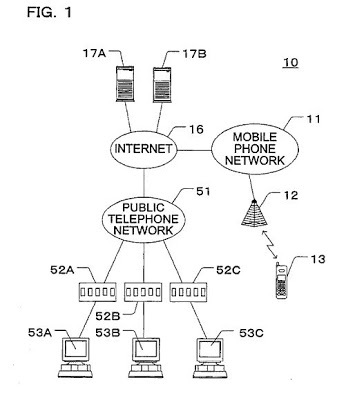 The ‘946 patent provides a way to identify opposing player’s skill levels during online play. The invention calls for using facial recognition which is directly tied to a player’s skill. Before a match the player submits a facial picture which will be shown to his opponent. The picture will change based on the outcome of the game. This way a player is identified not only by his username but also by a picture. The invention offers a quick scan method of determining an opponent’s skill level since all the player has to do is glance at the picture and he will know the level of his opponent. On a server, face image is registered and updated according to the player’s skill-level. Specifically, as personal information, not only registration of user’s address, name, or pen name, but also face information is registered and changed according to the game result. Therefore, this permits a quick visual recognition of the previous game result. As the result, when performing a battle game between terminals, the player can understand the competitor’s skill-level. 1. A game method with which a game player connects to a server by using a terminal and plays a game on the server, the method including the steps of: before starting the game on the server, making the game player register a face image information as personal information; changing the face image information according to the game result; and using the changed face image information as face information of the next game.